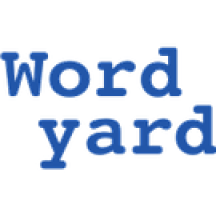 Wordyard / Business / The Web Parenthesis: Is the “open Web” closing? This really is revisionist history of the “open Web” that “began taking off in 1994-5”. At the time, most early adopters of the “web” accessed the Internet through “closed” service providers like Prodigy, CompuServe,and AOL. I would argue that “open” is an experience, like single sign on, rather than a spectrum. “Open to what?” depends on your context as user, developer, provider, etc. I dunno, Tim. I was there — perhaps you were too? — and what I remember is that we had an online world where everything was locked up in AOL, Compuserve and Prodigy. Then the Web caught our attention — for me it was 1994 — and I looked at it and said, gee, you mean I can publish myself? And that was it. I got server space for something like $20 a month. I paid $70 (!) to register my domain. I installed MacPPP and got a cheap dialup Internet account from a long-gone local ISP. And I was publishing. That was open. And people said “It’s all too geeky, the masses want something nice and controlled like AOL.” But the Web kept growing; it was an exciting platform because so many people like me did what I did, and companies did it too, and before you knew it the Web was where the excitement was, and AOL wound up being, as you say, an onramp to the open Web rather than the destination it thought it was meant to be. So I can agree with you that “Open to what?” definitely varies based on context. But I will defend my history of the ’90s as the opposite of revisionism; it’s first-hand reporting, actually. first of all I must congratulate you on an amazing article. This is the sort of article which is bound to put the mind into distant thoughts. 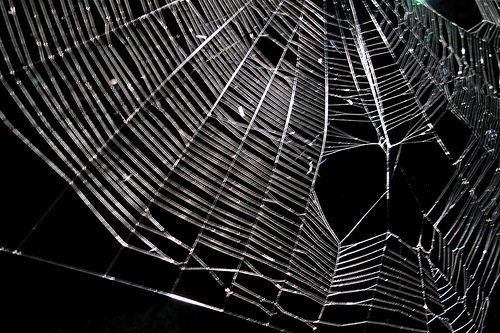 A different perspective to this could be – Do we really want an ‘Open Web’. Would the people at large be comfortable with it. i have always heard developers, techies, etc in favor of an ‘Open Web’. But never other ordinary people who make up a much bigger portion of the pie of internet users. People feel comfortable,secure in a controlled environment, where they dont have to experiment much. I don’t think openness as you’re describing is really a spectrum inasmuch as a variety. If it is a spectrum and it is indeed moving towards closedness you should be able to enumerate some of the things that you used to be able to achive that are no longer possible. A bad analogy is that openess is like an apple. There are many types of apples but there isn’t a spectrum of apples. I realize that this use of “spectrum” is more metaphor than science. I read “the closed online services of its day” as refering to AOL, Prodigy and Compuserve. All online services are networks so a network monoploy would naturally apply. Can you imagine the world where AOL owned the entire web? Just be very grateful to Tim Berners Lee and the fact that he wasn’t american. Why just open web? Look at open architectures in the past year. For example, CORBA, an open style data transfer and communication protocal. Difficult to program for and now is pretty much dead. Now we have EJB, COM, and WCF as examples to simplify the communications. But, they are pretty much closed. Yes, I was there. Actually, I suppose I was “there” pre-URI and HTML and watched the Internet form from ARPANet, NSFNet, CSNet, etc., and become more open, more discoverable, and easier to use. I am not doubting your personal account of your online experience anymore than I would expect you to question mine. I do question whether your experience alone, or mine, suffice as “the history”, or even when combined may be better but still lacking when describing the open parenthesis of the web. I do think that if you are going to write about the opening parenthesis of the web, and a possible closing parenthesis, it would be remiss not to mention Prodigy, CompuServe, and AOL. Tim, thanks for the links. I remember the Stratton Oakmont case well. It presented a real threat to online publishers until the CDA’s safe-harbor provision cleared the way. I guess I’m just still not seeing what’s revisionist about saying the open Web began taking off in 1994-5. I didn’t name Compuserve, Prodigy and AOL in this piece, it’s true, but they were the dominant norm for online service until the popularization of the Web by Mosaic (which hit big in 1994) and afterwards Netscape. They are exactly what I had in mind as the dominant regime that the Web displaced. They didn’t go away overnight, but they lost the initiative very quickly once publishers, developers and users began to embrace the Web. When I began writing about all this stuff at the SF Examiner in the early 90s the assumption was that the “walled garden” online services were the model for online communication, and the only question was, who would win the fight? One of those three, or some newcomer (Apple had EWorld, Microsoft MSN, etc.)? The Web, sitting on the foundation of the already-existing academic-based Internet, was a disruptive and unexpected participant in this competition, and the fact that it not only prospered but prevailed remains, to me, both extraordinary and wonderful. So yes, a lot of people got their initial exposure to the Web using one of these closed services as an ISP. But it was, I think, the open part of the Web that got them to sign up. I credit Prodigy, CompuServ, and AOL with popularizing the “open web” even though they were “closed” online services or “walled gardens” before commercially hosted web services with domain registration, bundled telephone/cable ISPs, and open/bundled web browsers became widely available, affordable, and popular. Today, I can buy a home computer, set it up as a web server using open source software, register a domain, and connect to an ISP much easier, and at much less cost than ever before. More people can access my server today than ever before using all kinds of different platforms and (open/bundled) applications. My “open” server will coexist with the commercial and proprietary services. However, I am much more likely to experiment with or develop the next disruptive technology using available commercial services than use my home server. Just as the Internet and web were build on the commercial telephony and microwave radio systems of their day. The need for openness is not readily seen by the masses. Nor will the openness be appreciated. The internet drew commercial interests from day #3. The internet is a major new innovation, so those seeking profit are discovering ways to infiltrate all the nuances of the new medium. Do we not see that infiltration with pop-up advertisements? With each new browser mechanism designed to defeat pop-ups comes a new pop-up mechanism that defeats the consumers decisions against pop-ups. That defines a conscious will to become a ‘for profit’ medium. Forget the concept that consumers purchase the accessibility and should be able to define what happens, that now is meaningless because someone along the data path seeks to earn a dime or a dollar by injecting advertisements, the need for revenue is creating exclusivities of document format or restricted access. When consumers can call for, and successfully engage with, a data stream which defines itself as pop-up advertisement free, then we will see the real numbers of people that wish to have data streams which are open and free; same for open access, same for adoptions of open document formats. These are difficult economies, of late, which, in turn, increases focus on earning money. OTOH, the open access won’t be popular because it will not likely be allowed – either the advertisements would get blocked by browser tools and draw the anger of the advertisers, or the open access would be blocked by committees of ‘for profits’ who will demand that entities along the way must not exclude the advertisements, blocked by the content creators will feel the need to control access, blocked by someone will feel that the open versions aren’t innovative enough and thus they will modify the open standard, and so on. I’d venture that a lot of web users really won’t want to bother take a stand. After all, this ‘control for money’ methodology is the way the Internet has behaved for 15 years, who is familiar with another way? A few years ago, I was told by someone (whom I once though had a mind of their own) that ‘there should only be Windows, no MacOS, no Unix, especially no Linux. Too many options when one option is working just fine. The other stuff should be illegal’. Don’t get me wrong, I personally embraced Linux in late 1999 and for the most part, I go months without booting a windows machine for my personal needs; I despise having to convert every .doc or .xls file on the planet into something I can open under Slackware or Kubuntu. I can still use FTP, when I need to; telnet also. I’m just saying that sheep are sheep.